This quadrennial championship is going on in stadiums scattered around Russia, presenting a challenge for people in the U.S. who want to watch matches live. Many of them are happening during normal business hours, and apparently fans are watching games on their mobile devices. That’s the most likely explanation why installs of the Fox Sports Go app totaled 1.2 million the first week of the World Cup, compared to just 12,600 the week before, according to Sensor Tower, an analysis firm that tracks iOS and Android app store trends. 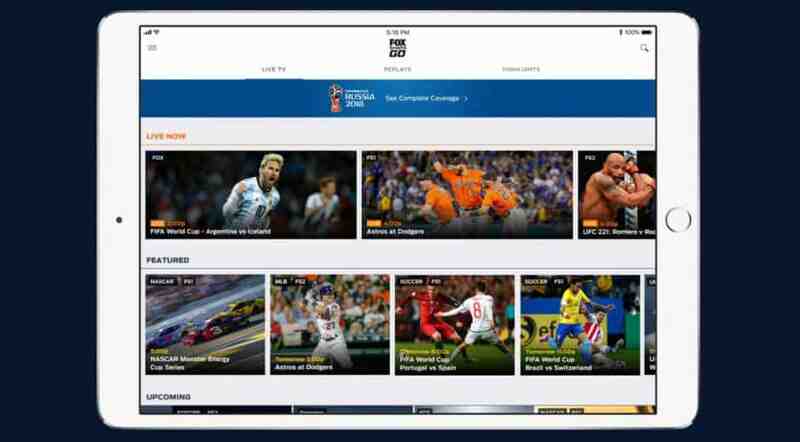 Fox’s app promises you can “watch every match of the 2018 FIFA World Cup Russia live right here on FSGO.” Just be aware, doing so requires a cable or satellite TV subscription. There are other iOS and Android apps that provide access to World Cup matches, and all of them have seen an uptick in demand. First-time downloads of the five leading live TV apps increased 77 percent during the first week of the championship, according to Sensor Tower. During the June 14 through June 20 period, installations of DirecTV NOW were up 44 percent, fuboTV grew 713 percent, Hulu increased 18 percent, Sling TV was up 90 percent, and YouTube TV increased 98 percent. All of these are budget alternatives to regular cable subscriptions. They offer access to a limited collection of network and cable TV channels starting at $15 to $35 a month. They each offer iOS and Android software, and can be watched on a tablet or phone.